Trendy Round Floral Pendant with Golden bead dangler in Antique MC Ball Chain with adjustable back link chain. It comes with beautiful matching Ear Studs. Team it with any outfit. Trendy pearl studded Floral pendant with golden bead dangler in antique MC Ball Chain with adjustable backlink chain. It comes with beautiful matching Ear Studs. Team it with any outfit. 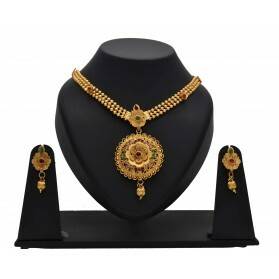 Fashion stone studded pendant set with designer chain for casual wear. This fashion jewelry apt for kids and teenagers with school or college wear. Beautiful fashion intricate design LCT stone studded pendant with a pearl dangle in a net chain with matching ear Studs. 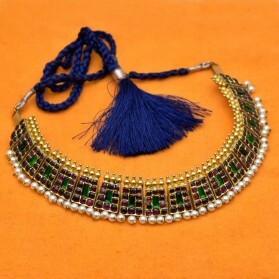 With an antique finish, this fashion jewellery looks stylish for daily wear to school or College. Cute simple designed single big stone and LCT stones studded pendant with pearls in a net chain with matching Jhumkas. 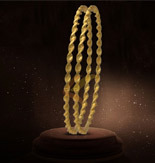 With Antique gold finish this fashion jewellery looks stylish for a daily wear to college or school. Available in various colours. Antique finish double layer MC ball Chain Kemp Stone Pendant Set. 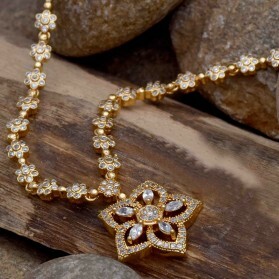 Oval Kemp stone studded pendant is adorned with white stones gives the product the desired look. 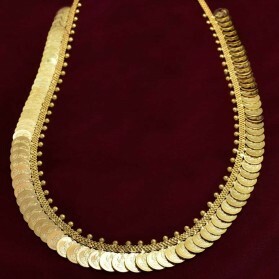 This Antique gold plated necklace set is your perfect companion for weddings and other special occasions. The matching ear studs are also an added attraction to this exquisite piece. 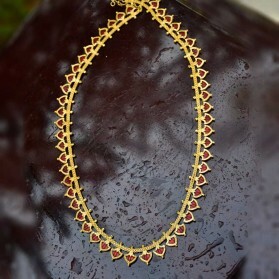 Red and white stone studded Gold bead hanging Leaf Pendant in Antique Gold plated MC Ball Chain with adjustable back link chain. It comes with Matching Gold bead hanging Studs. Add a dose of style to your outfit with this stylish Micro Gold plated transperent bubbles heart pendant with chain. Team this simple jewellery with any out fit. A beautiful gift item to your loved one. One gram gold plated Ruby Emerald stone fixed Antique Lakshmi pendant with matching ear studs. This traditional set is perfect for any festive occasions, it will add a splash of color to usual cloths. Awesome Gold plated American Diamonds paving Dolphin pendant with matching dolphin ear studs. This trendy set is perfect for any festive occasions, it will add a splash of color to usual cloths. A cute gift for your loved ones.